When we decided that we were going to have this week where we shared the favourite fiction set in our own countries, it sounded like a really fab idea until it came time to actually choose the books. How to decide which ones? In the end I decided to take a Books of a Lifetime approach and choose books that I recall from various times in my life and then some more recent reads. 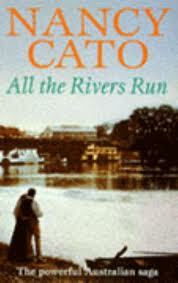 All the Rivers Run by Nancy Cato - A classic story of life in the late 1800s - a woman with indelible spirit, the handsome man who loved her, the drama of life in the country, paddle steamer races. What more could you want! I actually rewatched the mini series adaptation of this a couple of years ago and apart from the fact that if it was made now the colourisation of the film would be very different, it still was a very entertaining watch..
Aaron Fletcher's Walkabout series - This series of books is one that I found out about through fellow bloggers. It is a big, juicy saga following one family's story of starting a huge sheep station in the Outback, the loves, the tragedies, the fight against nature. 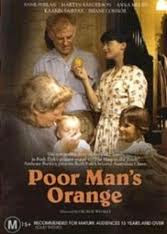 It starts with a convict settler and again features strong women, the men who loved them. The strange this series is how hard it is to find out anything about Aaron Fletcher. I suspect he wasn't Australian, but the story doesn't seem to betray that fact. Thinking about it, I am not sure that I don't still have one more book in the series to read. 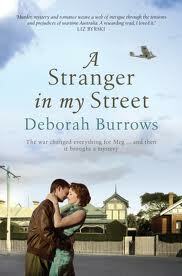 A Stranger in My Street by Deborah Burrows - This is one of my favourite historical fiction reads this year. 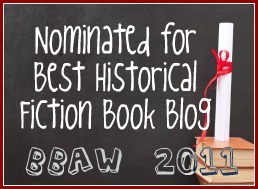 It is set in my home town of Perth during World War II (one of my favourite eras to read about) and features lots of interesting historical facts, a good mystery and an understated romance. Can't wait to read more from this author! There are so many other authors I could mention. Maybe if you have a favourite HF novel set in Australia you might like to mention it in the comments! Thank you, Marg! :-) I'm putting a bookmark on all of these lists. Oh, love this! So many books to add to my TBR list. Thanks, Marg! I'm going to check a few of these out. 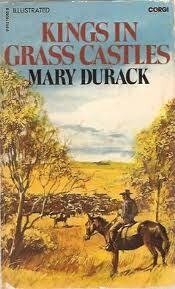 I love historical fiction set in Australia. I'm about to read Bryce Courtenay's The Potato Factory which I understand is very good and one of my all-time favourite novels is The Thorn Birds by Colleen McCullough. 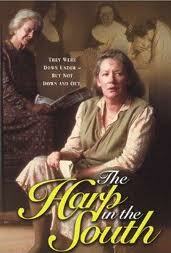 I did consider putting The Thorn Birds in the mix! This is such a cool series of posts--so glad you guys did this. So many books to add to the list! Glad you are enjoying the series Julie. A fabulous list of Australian HF. Many of these titles are added to my reading list. I saw your original write up about the Aaron Fletcher series and need to locate the middle book before I start reading.